Book a court to play tennis indoors in Kinsmen Fieldhouse. 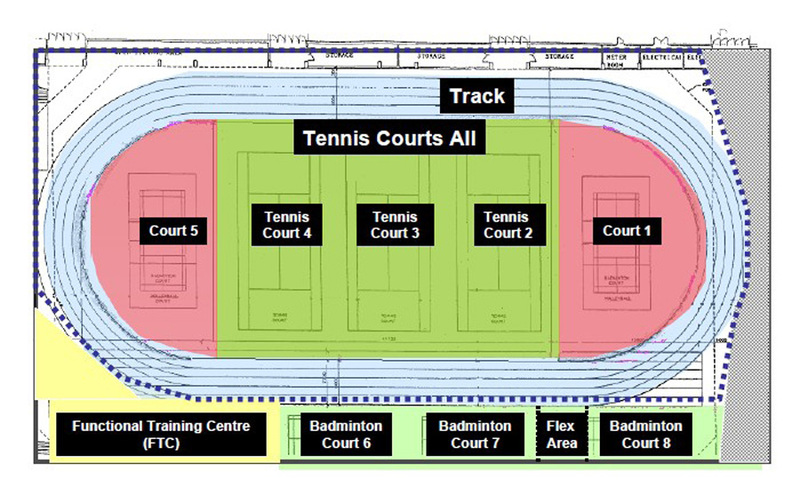 Use of these courts is not included with your membership pass or admission. or call 311 or book at any recreation facility front counter. Please note the following court access and usage process: Access is permitted a maximum of 15 minutes in advance of your court booking (excluding opening hour bookings on weekends and statutory holidays) and users are only permitted access to the court during their booked time. Membership holders are welcome to access the facility at any time for use of alternative recreation opportunities and may access the court at the start of their booking. Your court booking does not grant access to any other programs or recreational amenities. Court rentals require proof of booking and this must be displayed at the court booking receipt holder provided on each tennis court. A Recreation Facility Attendant can provide a copy of your proof of booking while you are at the facility. For all tennis bookings, players must be checked in by 10pm on weekdays and 9:30pm on weekends. 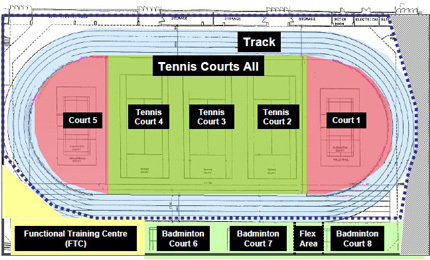 To rent one or more courts for a tournament or special event, please call 780-496-7302. Kinsmen Sports Centre is excited to join forces with Tennis Alberta to host tennis programming for young children and adults! Edmonton Little Aces runs Kids Programs for Tennis Alberta, and offers a full gamut of fall programming for kids aged 4 to 14 from Monday through Friday! Most programs are an hour to an hour and a half after school and run for 10-12 weeks. For more information and to register, go to the Tennis Alberta website and click on the Little Aces tab. Are you looking to learn how to play tennis or maybe wondering how to perfect your serve? Look no further, Peter Skoda and Chris Crowley have partnered with the City of Edmonton to provide tennis lessons at Kinsmen Sports Centre. For more information and to book a lesson with Chris or Peter, see Tennis Pro Profiles at Kinsmen Sports Centre.